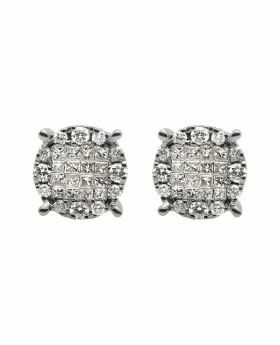 This BEAUTIFUL Brand New pair of diamond earrings set in solid 14k White Gold (3 + grams) These are all genuine natural brilliant princess cut diamonds in an invisible setting. 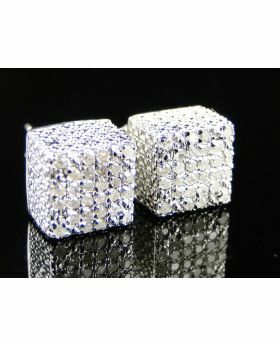 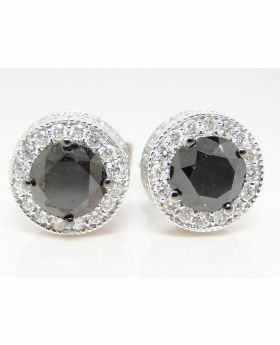 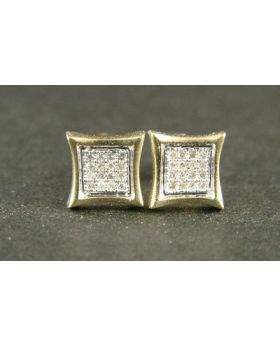 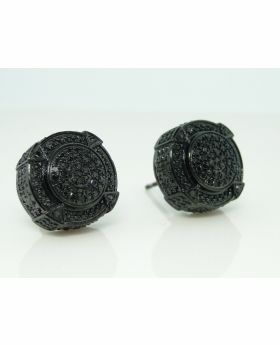 36 princess cut diamonds in each earring. 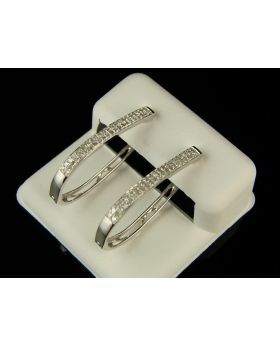 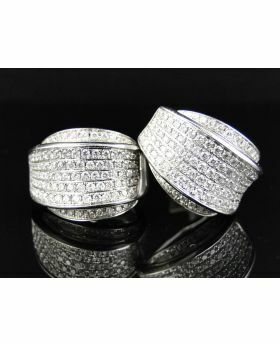 No prongs can be seen holding these diamonds.